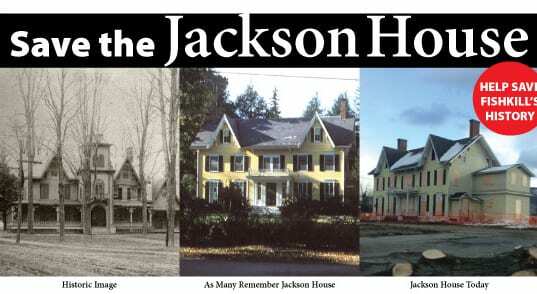 The Friends of Jackson House, an organization that has come together to advocate for the preservation of the historic Jackson House in Fishkill, Dutchess County, New York is spreading the word about their attempt to save the house from relocation or demolition, and asking for signatures on an online petition. Trying to identify a house I believe is in the Fishkill Plains area. Will try to email it to you if I can find your address. Thank you. The preservation group and the actions they were taking , including the 11/24/13 Walkway action was starting to gain public attention and momentum…….any public relations threat to the big money machine (developers and the town puppets) needs to be quickly stopped. You all did a valiant and excellant job…….in a normal…….just and honorable world……were our leaders decisions truly reflect and are determined by what is best for the people they serve and the future of all……this valuable, irreplaceable house would be still standing……..and it would have been restored before Mayor Miccio as of Monday night, perceived such a threat.